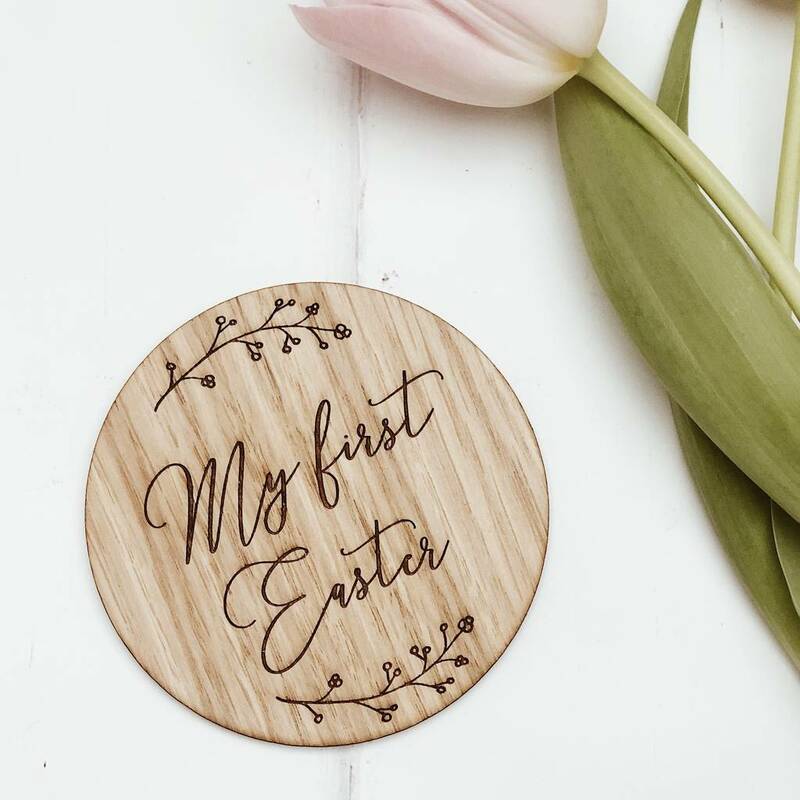 Celebrate your baby's first easter with this beautifully crafted, wooden milestone card - pefect for your instagram flatlays! These calligraphy style milestone cards would make the perfect prop for your birth announcement photo, as well as a great gift for the expectant mum-to-be! This single milestone card reads 'my first easter'.